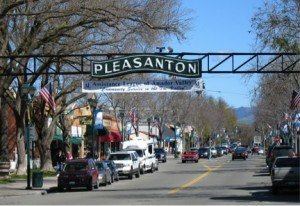 The warm community of Pleasanton, California makes it an extremely desirable place to live. The city provides a vibrant blend of historic buildings with parks, arts and entertainment, outdoor recreation, and a hometown atmosphere. If you are looking to age at home in Pleasanton or one of the surrounding areas, including Livermore and the Tri-Valley area of Alameda County, Hired Hands Homecare provides award winning in-home care services to this area. Our compassionate caregivers enjoy helping our clients maintain their independence, to continue to enjoy the Pleasanton community. Hired Hand Homecare is extremely proud to have been chosen to be the Best Home Healthcare Service in the 2015 Readers Choice awards. When you are faced with making a decision about home care for your loved one in the Pleasanton area, we know how difficult and stressful it can be. Making the right decision for you and your loved one is extremely important. Hired Hands Homecare is family owned and operated with over 30 years’ experience in homecare. Our professional caregivers work closely with and get to know each client, planning and coordinating activities that match each client’s interests. Many of our clients enjoy a picnic in the park, shopping downtown, or enjoying the farmers’ market. Hired Hands Homecare takes pride in delivering excellent caregiving services to the community of Pleasanton and the surrounding areas, including Livermore, Dublin, San Ramon, Danville, Walnut Creek, Castro Valley, Sunol, and Fremont. Home care services are available 24 hours a day, 7 days a week: we offer hourly, overnight and 24-hour live-in care to our Pleasanton area clients. With Hired Hands Homecare, you can be assured that each of our professional caregivers is insured and bonded, and has gone through rigorous screening, orientation and training. Hired Hands Homecare is dedicated to providing only the highest quality homecare experience, coupled with outstanding customer service. Contact Hired Hands Homecare today to learn more!